! (feature_l)http://relayer.s3.amazonaws.com/articles/spreads/4c964a6ac1531723a0000ca1.jpg!CSI: Miami is back with a seventh season of murders on the east coast. Famed for making forensic science high gloss entertainment, the new series is out to buy on DVD from Monday, June 7th. If you’re new to CSI: Miami, help catch up with these character profiles of the regular characters. It takes a very strong personality to be the head of a crime lab and Horatio Caine is without doubt the best of the best. A former NYPD homicide detective and bomb squad officer, Caine has the perfect mix of experience to steer his team through every danger they encounter. He is extremely protective of the group and goes to extraordinary lengths to protect the public. He is a very serious man who excels at staying calm in dangerous situations. He was briefly married before his job cost him the life of his beloved wife. He is a pro at initiating the stay calm approach when dealing with suspects. He always stays icy cool amidst the devastating Miami heat. Being of Cuban and Russian descent hasnt helped Eric Delko make many American friends but he remains fiercely proud of his heritage. His addition to the CSI squad is invaluable as he is a fingerprint and drug identification expert. He also is the teams underwater recovery expert. This is a very important job as Miami is littered with swamps and rivers. He has been shot on more than one occasion while in the line of duty, which has led him to question his role at CSI. This beautiful blonde southern belle has had to fight her whole life to be taken seriously. Her obvious good looks and small frame mean that she has to fight sexism and prejudice within law enforcement. Those who know her and respect her have realised that she is a brilliant scientist and one of the leading ballistic specialists in the world. Unlike Horatio, she follows the rules of CSI to the letter. She is always professional, even when dealing with her alcoholic father. A relationship Delko forms a major part in the Miami storyline. 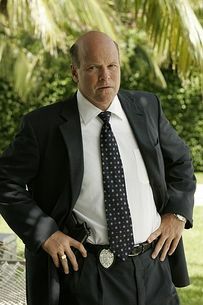 A former police officer who was hired on the spot by Horatio Caine because of the immaculate way he took care of his own firearm. Ryan suffers from OCD that is both a blessing and a hindrance in the world of CSI. He has had a roller coaster ride since joining the team. He was fired for being directly linked to a suspect and not disclosing the information before being reinstated at a later date. At the end of season 6, just after Horatio is shot it is Ryan who receives a text message that simply reads ‘it is done’. A tough Columbian homicide detective that often finds herself attached to CSI investigations. She was married to Horatios brother before his death. Later on in the show she goes into business as a private investigator. It was her brilliant investigative skills that brought to light Horatios biological son. She is an important asset to the team and when she is kidnapped Horatio goes to any length to save her. It was an extremely abusive marriage that propelled Natalia into the team. Her association with a group for battered women was key to solving a case but because of the restrictions of her federal grant she was only allowed to work on cold cases. It wasnt until later in the show that she was allowed to carry a firearm. Her story doesnt stop there as at the end of season 4 she was revealed to be an FBI informant hired to build a case against the team. She was also a suspect when her abusive ex-husband turned up dead. A hard-line homicide detective that hails from the great state of Texas. He is a straight talking, tough as nails son-of-a-gun that over time has developed a very admirable working relationship with all the CSIs. When the show first started it was obvious that Frank and Horatio really didnt get along but now its plain to see that both men have a huge amount of respect for one another. Beginning her career in New York as a physician, Dr. Woods became a medical examiner with the CSI team after moving to Miami to escape her past. Over time she has become an agony aunt figure to the CSI team, often offering advice to any sort of problem that might arise. She finds it therapeutic to talk to the dead bodies in a caring tone while examining them. She is a dedicated mother and after her son is named prime suspect on a case she rethinks her role within CSI. After quitting her job Horatio makes it clear that should she wish to return her post would always be open. See these characters in action on DVD when CSI: Miami is released on DVD on June 7th.